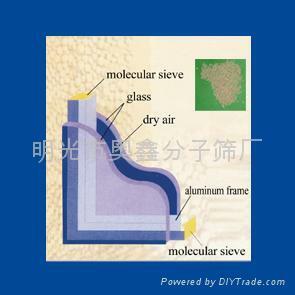 Adsorb the moisture and no usage substance which enter into the insulating glass druing the production. Keep the low dew point by adsorbing the inside moisture continually. Improve the effect of saving energy by filling inertgas,because of the molecular sieve none adsorption for Sf6.